A bird and a dog running around the green grass at some yard. They are playing and having a great time. If you're just reading the preceding lines from some book, you might not believe the story because it sounds rather unlikely. But it's very true. As you can see in the video below, such friendship exists. And it's absolutely fun to watch. 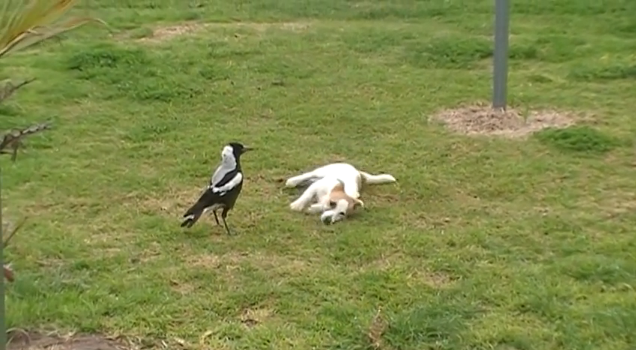 If you're wondering about the kind of the bird, it's an Australian magpie.